Stereotypically cats have been called aloof, sneaky, and manipulative. In reality, felines are independent, mischievous and self-aware. They are also smart, loving, affectionate and without trying very hard do some of the oddest, funniest things at the most unexpected times. Nothing against dogs, they are loyal, obedient, loving and always happy to see you, jumping around excitedly whenever you arrive back home. On the other hand, cats may lift their head up as if to say, “oh it’s you.” That is unless it is time to eat and you are late coming home. Dogs are anxious to please while cats, well cats play it cool. Want to find the most comfortable chair in the house? Just check where the cat is sitting. I never had a pet as a kid except for a parakeet that one summer my parents left with my grandmother while we went on vacation. One day my dear grandmother let the bird out of the cage to give it a little flying time. Unfortunately, she forgot one of her windows was open and well, it was bye, bye birdie! I never had a dog or cat, never wanted one. 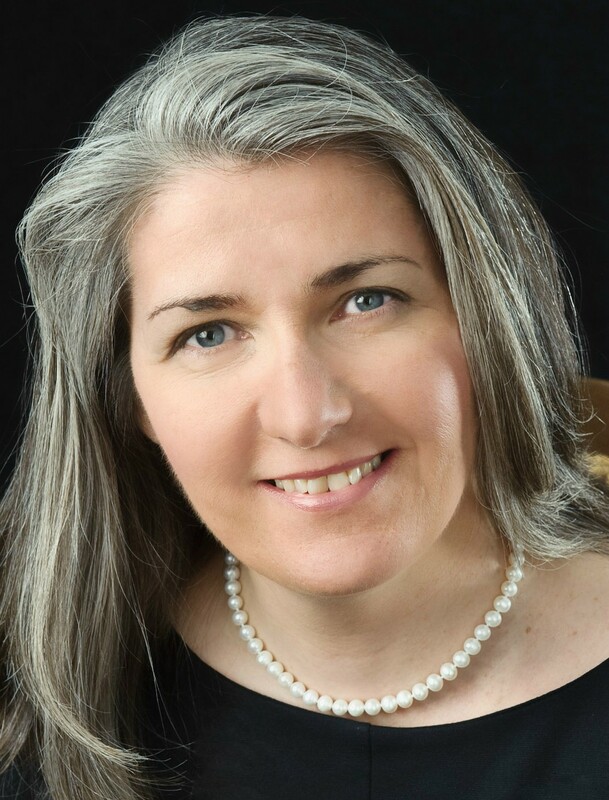 That said, many years later when I met the woman who would become my wife, I soon learned she had four cats, and like a woman with kids, it was a package deal. I quickly found myself living with four little furry felines that to not only my surprise, but to just about everyone who knew me, I fell in love with. I became an animal lover. I could tell you a lot more but I will only add that we still have cats today. This last statement will come as no surprise to anyone who has visited my John Greco Photography facebook page. With that let us move on. Cats have sometimes been given a bad rap in movies, viewed as menacing (Eye of the Cat) or associated with the occult (The Black Cat). Then there are the cats who are seen associating with the criminal element. Infamous thugs like the notorious James Bond nemesis Blofeld who always had a white Angora cat snuggling in his lap. That little dude made multiple appearances in many Bond films including “From Russia With Love,” “Thunderball,” “You Only Live Twice,” “Diamonds Are Forever” and “Never Say Never Again.” The image of Blofeld and his cat has become so much a part of pop culture it was parodied by Mike Myers in the Austin Powers films with the wicked Dr. Evil and Mr. Bigglesworth, his Sphynx breed kitty. Then there is “The Godfather,” where Don Corleone holds a cat in his lap early in the film during his daughter Connie’s wedding to Carlo. The cat was an unexpected addition to the scene not in the original script. Coppola found the stray on the lot and thought it would make a nice touch. In both these cases the addition of a cat added another level reflecting the opposite poles of the villain’s persona; warmth and affection on one hand, yet like the claws of a cat ready to attack if necessary. In a better light cats are often viewed as companions in films like “Romancing the Stone” or “Breakfast at Tiffany’s.” Like dogs, they are part of the family. Let’s face it, and you pet parents have to admit this; how many of you talk to your pets and look at your four-legged family member as a source of comfort and unconditional love. I have limited this list to movies featuring domestic cats, and real cats, meaning none of the animated ones pumped out by Disney, Pixar and so many others over the years. So don’t look for The Cat in the Hat, Simba, Felix, Figaro, Garfield, Fritz, Puss in Boots or any other ink, pencil or computerized feline. That’s another post. Cats have been in movies since almost the beginning of cinema. 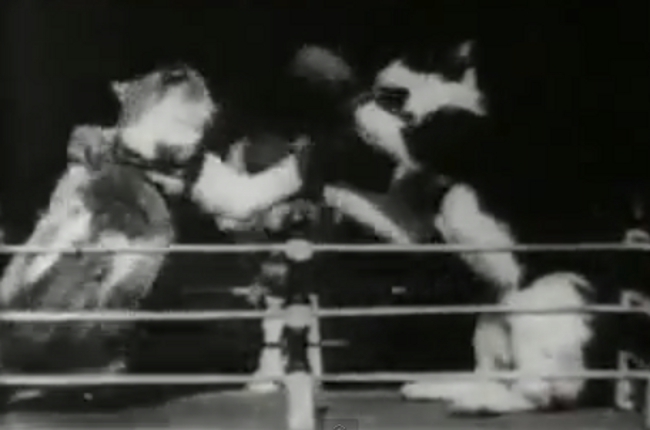 The oldest I could find was “The Boxing Cats” (1894), a vaudeville act from someone named Professor Welton. The film was made by the Thomas Edison Black Maria studio. It’s a harmless, though a bit on the cruel side, scene of two cats in a small boxing ring with miniature gloves on their paws punching it out. The gloves at least stopped either of the cats from getting hurt. 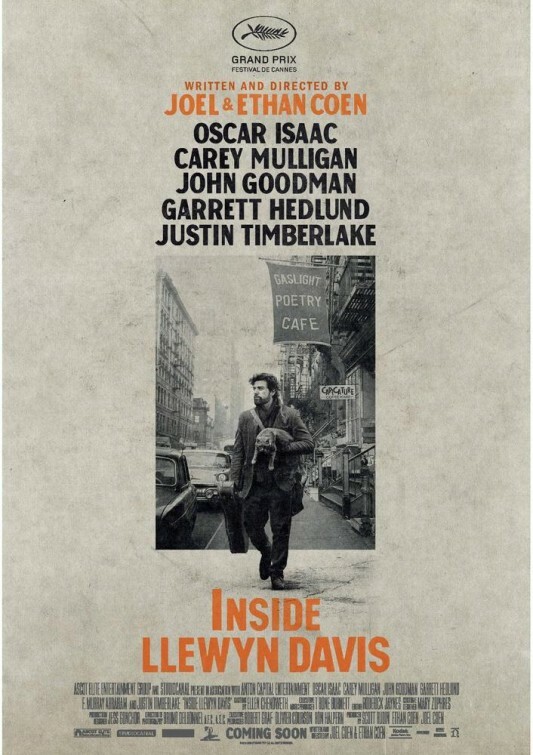 The latest movie with a cat prominently displayed is from the Coen Brothers, the recently released, “Inside Llewyn Davis.” The four legged star can be seen on the film’s poster being carried by the lead two legged star portrayed by Oscar Isaac. The five films I selected have significant roles for the feline actors. They are in no particular order and display various feline traits as well as different breeds. 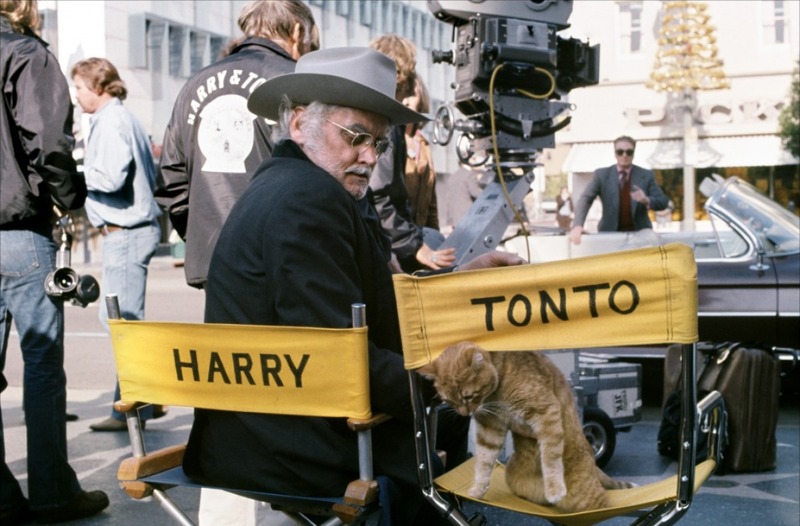 Directed by Paul Mazursky this warm and charming “buddy” movie stars Art Carney as Harry Coomes who along with his cat, Tonto, is evicted from their New York City apartment. Struggling with old age and the harsh life of city living, Harry decides to travel across the country, with Tonto always by his side. Making various stops along the way his visits his daughter, a former girlfriend and befriends a teenage runaway before settling in California with his feline buddy. Carney won the Best Actor Oscar for his performance. He admitted at the time he did not like cats but also admitted he and Tonto got along well during the making of the film. One of the 1950’s best sci-fi films. Exposure to radiation and insecticide causes Scott Carey (Grant Williams) to slowly begin to shrink. Based on Richard Matheson’s classic novel this existential tale of a man’s battle against made man elements is B-filmmaking at its best. Scott continues to shrink, fighting the elements he once dominated, yet during this journey, which will lead to his non-existence, he becomes spirituality and mentally stronger. One of his threats is his household cat who now towers over him. Scott has decreased in size so much he is now lives in a doll house with the cat now the equivalent size of a prehistoric monster growling at him; sticking a gigantic clawed paw through the doll house window attempting to capture his now mouse like size prize. The cat is played by Orangey, the award winning Red Tabby and the only cat to win two PATSY awards (animal version of the Oscars). He first won the award for his performance in “Rhubarb” (1951). 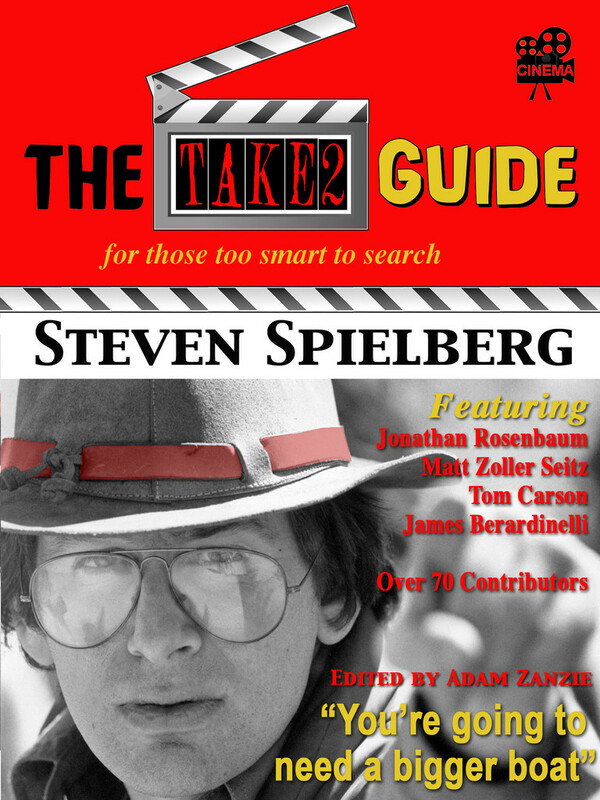 His second award was won for our next film on the list. Orangey is given the unimaginative name of CAT in this Blake Edwards film based on Truman Capote’s novella. Its human stars are Audrey Hepburn and George Peppard. By 1960, the feline superstar had already appeared in the aforementioned “The Incredible Shrinking Man” and Rhubarb,” as well as “This Island Earth” and on TV where he played Minerva in the TV show “Our Miss Brooks.” Having achieved this high level of screen success, he continued to expand his horizons with his role in this love story. 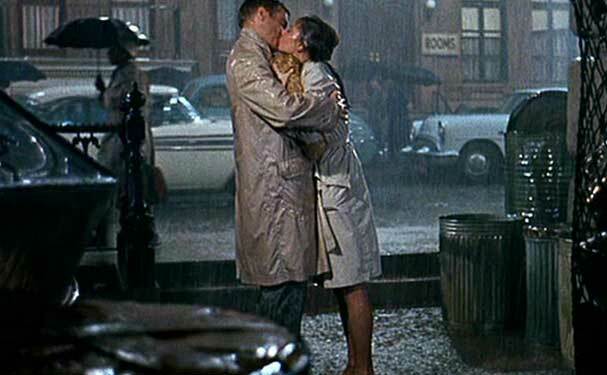 We have the rain filled ending with Hepburn frantically searching for CAT, his emotional meows, the reunion as she picks him up and soon he is squeezed between Hepburn and Peppard as the couple kiss with “Moon River” playing on the soundtrack. This remains one of the most romantic and touching endings in film. No wonder Orangey won a PATSY for his performance! And let’s face it this was his sexiest part to date. He got to sleep with the lovely Ms. Hepburn. What a lucky boy! Robert DeNiro is the tough matriarch of the family and he has a cat, a beloved Himalayan cat named Mr. Jinx. DeNiro, as we all know, played a young Don Corleone, another matriarch in another “family” who in his later years after he morphed into Marlon Brando held a beloved cat in his lap (see above) as he welcomes visitors to his inner domain. Coincidence? What does this mean? Well, nothing really but the connection just struck me as I am writing this. Anyway, even when Mr. Jinx is not on screen his presence in “Meet the Parents” is felt. 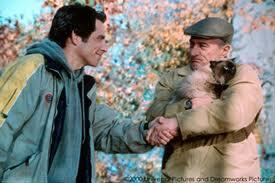 There’s a scene where DeNiro’s Jack questions Focker (Ben Stiller) on why he doesn’t like cats. Focker explains, it’s not that he does not like cats, he is just more of a dog person. He goes on to say he likes when you come home how dogs wag their little tail and are oh so happy to see you. Jack’s response? Well, cats aren’t pushovers like that, they make you work for their affection, they don’t sell out so easily like dogs. Mr. Jinx is all over this film. And of course he pees sitting on the toilet! 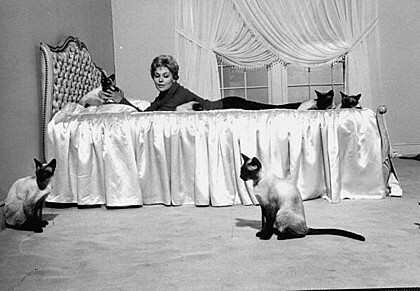 This is an entertaining and charming film thanks to a good cast (Kim Novak, James Stewart Jack Lemmon, Elsa Lanchester, Ernie Kovacs, Janice Rule and Hermione Gingold) and a beautiful Siamese named Pyewacket who is the real star of this film as Novak’s Gillian Holyrod’s feline buddy. Gillian is a modern day witch living in Greenwich Village who develops a crush and falls in love with her neighbor, James Stewart. As the romance deepens Gillian faces the obstacle of losing not only her witchy powers but her cat who splits the scene as the love between Gillian and her mortal man gets serious. Pyewacket won the Oscar animal equivalent PATSY award that year. Nine different cats actually portrayed Pyewacket so I wonder how the award was split up. Novak, a well known animal lover, must have had a ball working with all these feline friends. There are plenty of of other films with cats, way too many to list. Do you have you own favorite cat movie? Well, let’s here it! This entry was posted in Articles, Essays and tagged Cats, cats on film, favorite films, Orangey, Pyewacket. John, In ‘This gun for hire’ Raven loved cats. The ‘Black Cat 1941 was another fine cat comedy. Have a wonderful New Year for you and your family. I am still living in Bath Beach and loving it. Good to hear from you. Thanks for adding these two films. I should have been more explicit and dated The Black Cat film I was referring to which of course is the Lugosi film from 1934. Thanks for the best wishes and right back at you. Happy New Year to you and yours! What a fabulous post John! As a fellow cat-lover I can appreciate so many of these, and even found out quite a bit in your lead-in. For example I never knew that Don Corleone’s petting of the cat at his desk during the wedding sequence was a Coppola addition. And a one too as you note, and one with thematic implications. I was all ready when I saw this post to jump in with INSIDE LLEWYN DAVIS, as I just had seen it, but you would never miss that, especially as I’m sure it may have in some measure inspired your post. HARRY AND TONTO is another great choice, as is of course THE BLACK CAT and TRACK OF THE CAT. My own Number i “cat” movie? As per your instructions I did not mention here any of the animated cats (Aristocrats, The King King, Garfield, etc.) and agree that would make for another entire post. Happy New Year’s to you and Dorothy and all the felines! Glad to hear from you. Yes, the Coen Brothers film did have an influence in putting this post together. It opens here on Jan 10th and I am looking forward to it. I love the Coen Brothers films and I love that whole early 60’s Greenwich Village period. Thanks for your additions. I still need to see Vigo’s L’Atalante. Happy New Year to you, Lucille, the kids and course your four legged felines! Love your post and I have to add That Darn Cat! made by the Disney Studios in 1965. Starred Hayley Mills and Dean Jones, and of course, a clever cat. Jenni, a very good addition – classic Disney! I have to admit that I am absolutely not a cat person. Severe allergies to felines has made me avoid cats like the plague. In fact, I can’t/won’t go to a person’s house if they have a cat. If I do, inside of 5 minutes, I am a wheezing, swollen-eyed, hive-covered mess. That said, I can relate to your statement about pets being a part of the family. I lost my 15-year old beagle in August, and I am still missing her. My younger beagle, Ginger, has become my baby now that my kids are in their early 20’s. She is definitely much more than a pet! Happy new year to you and your wife…and your beloved cats. I am sorry to hear about the lost of your dog and understand completely. When we lost the first of those four cats I couldn’t believe how much I missed that little guy. No matter how many times we have gone through it with the various cats it has never gotten any easier. Thanks for the addition of the three films though I have to admit I have not seen any of the three. Happy New Years to you and your family as well as you baby Beagle. 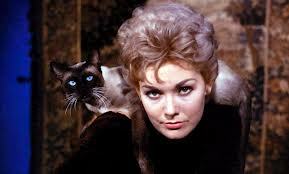 My favorite movie cat characters are Cat and Pyewacket. But I always feel badly for the feline actors who played them when their characters have difficult moments onscreen – as when Cat is tossed into the street and drenched at the end of Tiffany’s, and when Pyewacket is shoved into a waste basket by Jimmy Stewart in “B, B & C.” Still, I love both movies. Her love of cats was very “catching” but I guess it was there all the time. I really had no exposure to cats, dogs yes, but not to cats so maybe I just needed the opportunity to become acquainted with them. Cat and Pyewacket a great choices as are Asta and Uggie. And yeah for adding the cow from one of my favorite Christmas films. Here’s wishing you and yours a Happy New Year!!! A most entertaining post, John. 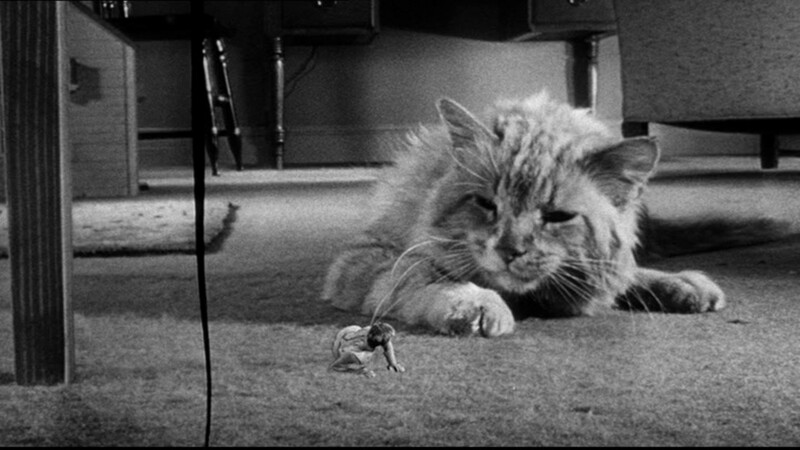 You listed my two favorite movie cats with Pye and the man-eating cat from THE INCREDIBLE SHRINKING MAN. The Siamese in LADY AND THE TRAMP are also memorable and surely the sneakiest of all celluloid cats. Another Disney cat movie–THE THREE LIVES OF THOMASINA–is a favorite, though largely for the human cast (Patrick McGoohan and Susan Hampshire). Rick, Pyewacket seems to be getting quite a few votes. SHRINKING MAN is one of my favorite SF of the 1950’s. Thanks for stopping by and Happy New Year to you and your family. As a cat lover myself, I love cat movies and cats are such great camera subjects; your eye is always naturally drawn to them. One reason why I prefer cat films to dog films is that cat films tend to be more comic – the felines rarely come to sad ends. My own favorite cat film is “Rhubarb,” with Orangey at his most feisty (I believe he’s also the cat featured in the comic horror film “The Comedy of Terrors”). Thanks for your well-done and affectionate post! Thanks for the kind words and your are correct Orangey was in both films you mention. It’s been a long time since I have seen RHUBARB…years and years. A Happy New Year to you and yours!!! I always had a soft spot for Marlowe’s cat at the beginning of Altman’s THE LONG GOODBYE. I love how Altman spends the first 10 minutes focusing on Marlowe getting a specific brand of cat food for his feline! J.D, Thanks for adding THE LONG GOODBYE into the mix. Last time I saw this film was when it first came out. This was before I met my wife, subsequently before I ever had a cat. I will have hunt for a copy at a local library and watch it again. I am sure to appreciate the scene you mention a lot more now than I did back then. John, I grew up with cats although we don’t have one at the moment, but I do hope to do so again some day. 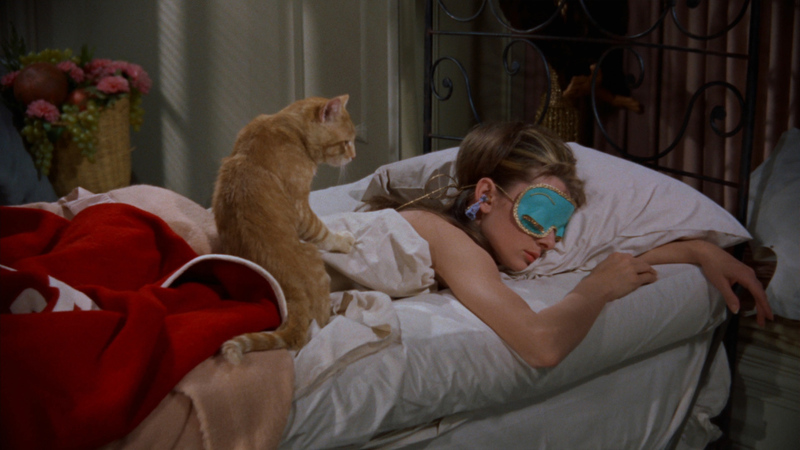 I’ve just finally seen ‘Breakfast at Tiffany’s’ – must admit I didn’t love the film overall as much as I’d hoped to (Mickey Rooney is cringe-making as the Japanese neighbour), but the cat is great, as is Audrey Hepburn of course! Another film with some wonderful cat scenes is l’Atalante, with a lot of cats and kittens living aboard the boat. I adore both cats and films, so cats + films = great post! A couple of very short cat scenes from classic films that have somehow stuck in my mind are the following…. Thanks for adding these two. I have not seen THE SEVENTH VEIL but I have seen BIG DEAL ON MADONNA STREET a couple of times and remember the scene you mention well. Just came back from watching INSIDE LLEWYN DAVIS in which a cat, actually a couple of cats, have prominent roles. Very good Coen Brothers film. Harry And Tonto, Art Carney. Great movie!